Education – Jason H. Moore, Ph.D. I have a B.S. degree in Biological Sciences from Florida State University where I did undergraduate research on molecular evolution that was partly funded by an American Cancer Society fellowship. Following graduation I moved to the University of Michigan (Go Blue!) where I worked as a Research Assistant in a molecular oncology lab in the Department of Surgery. 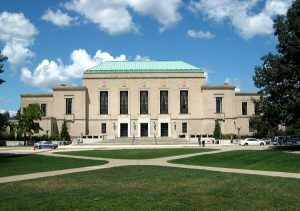 I decided to stay at University of Michigan for graduate training in the Department of Human Genetics where I did an M.S. and a Ph.D. in Human Genetics. I simultaneously did an M.A. in Applied Statistics in the Department of Statistics. I also took several courses in the Center for the Study of Complex Systems.